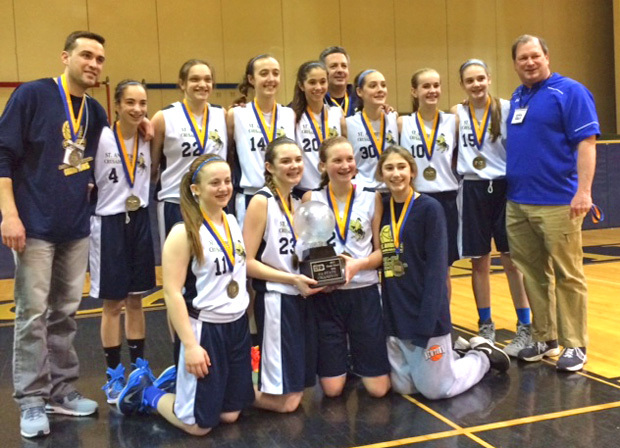 The girls CYO basketball team of St. Andrew Parish, Newtown, captured the state CYO championship Sunday, March 15 by beating St. Bernadette of the Erie Diocese, 32-18. St. Andrew’s earned the trip to the tournament held at Berks Catholic High School and went undefeated in three games to capture the title. The team and coaches are shown above.